Welcome to our annual Holiday Gift Guide where the flock takes a break from talking about all the awesome and not so awesome things to, well, talk about some more of the awesome things that you might want to consider for your Holiday shopping this year. Today we'll talk about toys and collectibles. Since we're living on the cusp of a dystopian future (and for some we're a lot closer to that future than others), we might as well celebrate one of the guiding lights of the resistance. 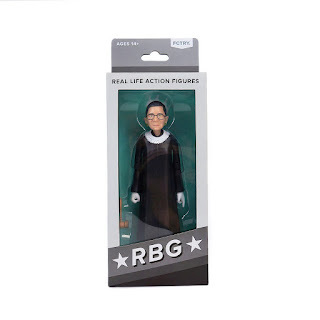 As much a symbol at this point as strident voice on the Supreme Court, Ruth Bader Ginsburg has her own action figure and it's really everything you might want to show your support for a dissenting voice. This garbage can full of tiny action figures is a double nostalgic blast from the past. I loved M.U.S.C.L.E. men as a kid and had epic wrestling matches with my tiny plastic figures. The good folks from Super 7 have merged M.U.S.C.L.E. style figures with Masters of the Universe and the result is an absolute delight. 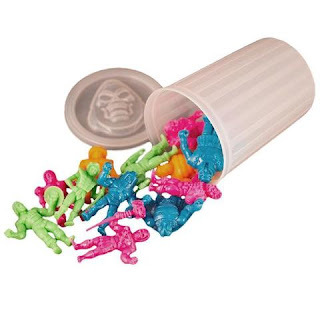 In addition to the Skeletor Trash Can pack that is pictured above, there is a second wave that includes Orko, Fisto, Battle Cat and more! BattleBots is a show where people build robots that tear each other apart with saws and spinners, or smash each other with hammers, or roast them with fire. Basically, all you should need to know is that it's a show where robots fight. Now Hexbug has teamed with the BattleBots people, and you can buy toy remote control robots that will fight. I don't know what more I need to say, here. You can get mini versions of some of the popular bots from the show, or a kit where you can build your own from snap-on parts. You are literally Prime Shipping away from robots fighting in your living room, and I'm not sure why you're still reading this when you could be fighting robots. Have you ever wished you had the ability to go anywhere in the world? 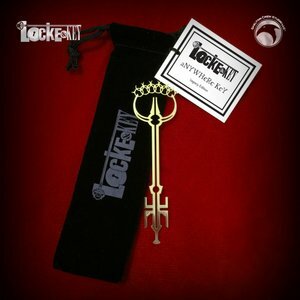 The Anywhere Key, when used with a door, allows you to travel anywhere in the world. Just have that location in mind when you open the door and viola! The Legacy Edition may not quite work that way, but these replicas fro Skelton Crew are beautiful. I have a handful of their keys and pins and the craftsmanship is second to none. As of the typing of this blog there were still signed versions (signed by Joe Hill) available while supplies last. If you are looking for a gift that provides the Saturday Morning cartoon vibe then Funko's Cereal is a perfect fit. 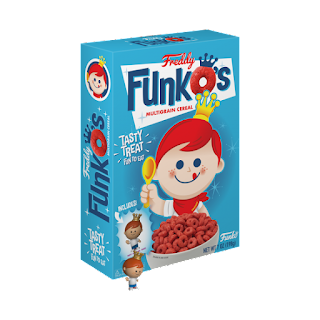 Including an awesome prize in the bag, Funko's Cereal are part of this complete breakfast. I ordered a box when it first dropped and was very pleased with the quality of the cereal itself. From the box design, the cereal that turns your milk red, and the mini Freddy, this gift is ready to be enjoyed in your pajamas watching G.I. Joe, Transformers, or whatever cartoon you grew up on. If you want to give the movie lover on your list a unique and memorable gift you can't go wrong by gifting them a replica figure of the iconic director. Featuring a director's chair, multiple cigars, a freaking raven, a clapboard, a butcher knife and four interchangeable hands, this high end collectible will be a standout on your shelf. 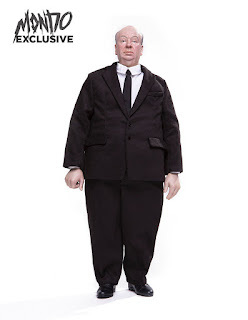 Maybe you could even start a Hitchcock on the Shelf tradition at your house!